The heroic son of Poseidon makes an action-packed comeback in the second must-read installment of Rick Riordan’s amazing young readers series. 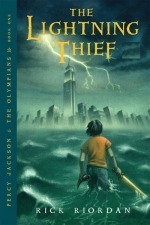 Starring Percy Jackson, a “half blood” whose mother is human and whose father is the (More) God of the Sea, Riordan’s series combines cliffhanger adventure and Greek mythology lessons that results in true page-turners that get better with each installment. 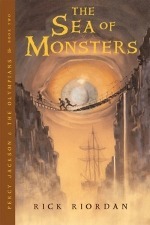 In this episode, The Sea of Monsters, Percy sets out to retrieve the Golden Fleece before his summer camp is destroyed, surpassing the first book’s drama and setting the stage for more thrills to come. Percy Jackson is a good kid, but he can’t seem to focus on his schoolwork or control his temper. And lately, being away at boarding school is only getting worse—Percy could have sworn his pre-algebra teacher turned into a monster (More) and tried to kill him. When Percy’s mom finds out, she knows it’s time that he knew the truth about where he came from, and that he go to the one place he’ll be safe. She sends Percy to Camp Half Blood, a summer camp for demigods (on Long Island), where he learns that the father he never knew is Poseidon, God of the Sea. Soon a mystery unfolds and together with his friends—one a satyr and the other the demigod daughter of Athena—Percy sets out on a quest across the United States to reach the gates of the Underworld (located in a recording studio in Hollywood) and prevent a catastrophic war between the gods. ¿Qué pasaría si descubrieras que tu familia es una de las más poderosas de toda la historia de la humanidad? ¿Y si te dijeran que la fuente de poder de la familia está escondida por todo el mundo, bajo la forma de 39 pistas? ¿Y (More) si, además, te dieran a elegir entre tener un millón de dólares... o conseguir la primera de las pistas? Si fueras Amy y Dan Cahill, ¡escogerías la pista y empezarías una carrera muy peligrosa! 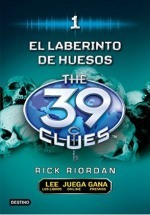 El arco de la historia de la serie ha sido establecido por Rick Riordan, con una colaboración de otros seis autores que siguen escribiendo la historia a través de los siguientes nueve libros.